Crema and Vine, located at 1009 Main Street, was previously an Exxon gas and service station. Built in 1969, the station is located along Danville’s Millionaire’s Row in the Old West End — which contains homes of tobacconists and textile entrepreneurs from the 19th and 20th centuries. Before the current building, the block contained Clarke Electric Company and an Esso Station (later Exxon). The date of demolition on the site is unknown. The current building itself was a three-bay garage that offered repairs, oil changes, tire rotation, Virginia state inspections and service checks. Four gas pumps served customers — the two closest the building full service and the other two self-service. The business closed circa 2010. Beside Crema and Vine is the Sutherlin Mansion which was the home of William T. Sutherlin. For a week in April 1865, it housed the Confederate government which was en flight from Richmond after it was burned by Union troops. Continuing along Main Street heading south is U.S. 29 just a few hundred feet away. 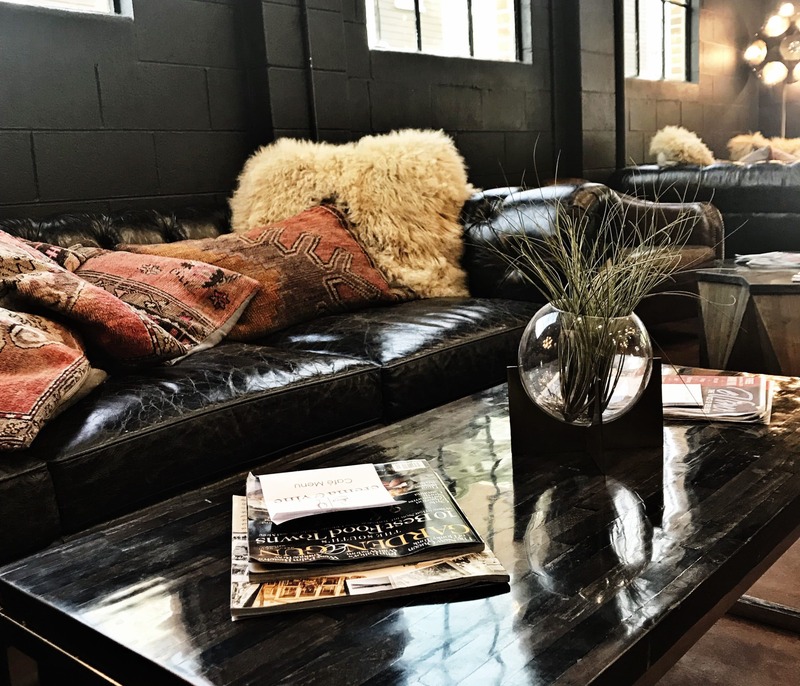 The building has since been renovated and turned into Crema & Vine, Danville’s only café, and wine bar. 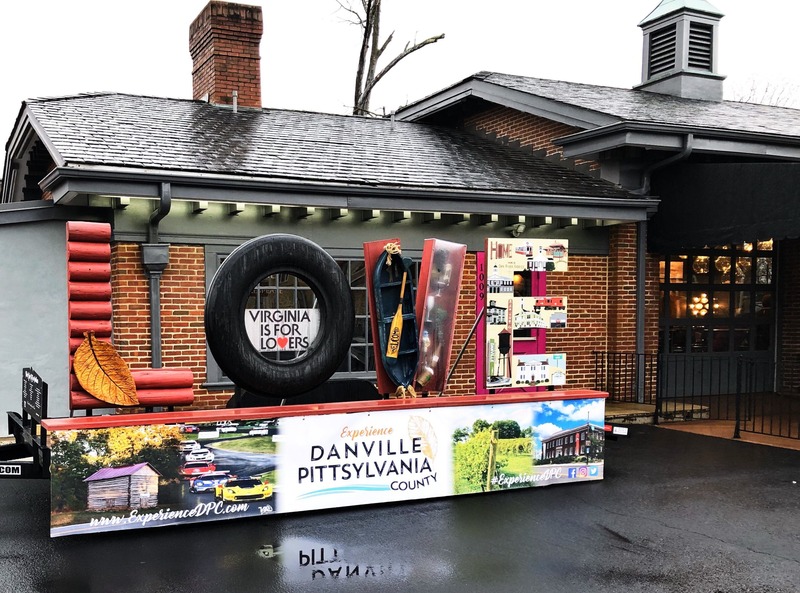 This project was completed by Steve DelGiorno and Rick Barker as a part of the “New Danville” movement, combining history with modernity and bring new and exciting business to Danville. Our first visit was super. The decor alone is worth a trip. My husband and I were greeted and served by two fabulous ladies, Katie and Donna. They educated us on the menu and coffee size. I enjoyed a delicious cranberry scone and caramel flavored coffee and my husband had a chorizo burrito and cafe Americano. I love the atmosphere and subtle music. I wish you much success in the future. I will be back soon for wine and a salad. The tarragon chicken salad is delish and the self-serve wine machines make trying their carefully selected wines like a choose your own adventure. I love the Roast Beef and the Chicken Salad. The “living room” area with the gorgeous sofas is so relaxing, you don’t want to leave. This atmosphere is what Main St. Danville has been needing. Can’t wait for Spring to sit outside in the awning area. The coffee was wonderful as I expected, but much to my surprise they have a delightful food menu as well that offers Vegan, Vegetarian, and Gluten Free options!! I had the Chorizo Burrito and it was delish!! Great environment, service, drinks, and food!